No excuses. How can you say you don’t want a PBS Cookbook? You say you can’t cook? There are recipes for every ability level. You say you don’t like to cook? Someone you know does! Why not give them a copy and they can cook for you? You say you have enough books? Okay, we didn’t even hear that. For goodness’ sake, get to the Kiosk and pre-order a copy (or two or three) now. You can even be one of the authors (contact royaltech if you want to submit recipes) or illustrators (submit a cover design here)! We have some great submissions for the cover art so far, but hardly anyone has voted on them, so we have extended the contest deadline. If we get enough images, we might use some of them inside the cookbook, for the section dividers. Submit your design here, and vote on submitted designs here. The book will go to press when we have 250 prepaid orders. We are about halfway there. C’mon, c’mon! We can’t wait to get our copy! Speaking of Recipes… Many of you are enjoying the Recipe feature on the site. However, there are some who are submitting recipes without entering the ingredients properly in the list format provided. Submitted recipes that don’t have the ingredients properly entered (in the Ingredients list, not the Directions) can’t be indexed and will be removed from the site. So make the extra effort to enter your recipes properly, and ensure that they will remain on the site and be useful to other members. You can go back and edit any recipes that you submitted incorrectly before December 1st when the “purge” will take place. So…you’ve waved goodnight to the last trick-or-treater, blown the candle out in the Jack O’Lantern, and set your clocks back. You know what this means: the season of madness is here! Yes, that wonderful, harried, chock-full holiday time. The next couple of months will be so busy: shops will be crowded, traffic insane, and your To Do list will seem endless. In the middle of all the rushing around, do try to take time for yourselves, to savor the things that make you happy. A chat with a good friend; great music from your iPod while you rake leaves; that moment of anticipation when you first open a good book to start reading; the laughter around the dinner table. Little opportunities for thanksgiving come every day. We have those opportunities too–we are reminded every time we get happy feedback from a member. 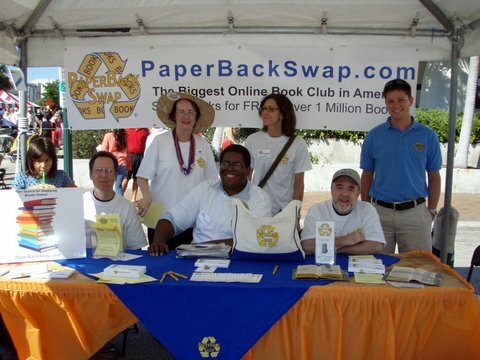 We are thankful for every one of you: the members who volunteer their efforts to help the site, those who have made the Discussion Forums feel like a giant, wacky family, and of course all of the members who keep posting and swapping books. Each of you contributes so much here–your books, your time, yourselves. We don’t forget that you are the club. In other words, we may set the table, but you bring the pumpkin pie! We wish all of you a joyous Thanksgiving season. We like Swapping yes we do! We like reading, how ’bout you? 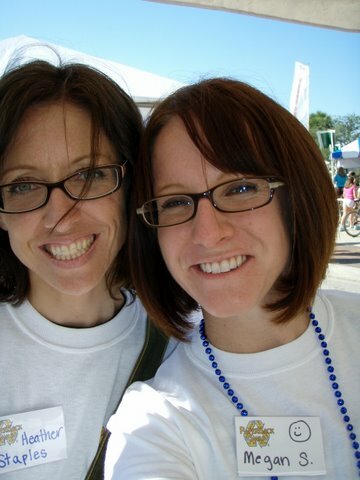 Top: Heather S. (PrettyPinkBows) and Megan S (bananapancakes), two of our PBS volunteers at the Sarasota Florida book festival last weekend. Below: some of the Sarasota crew. The strapping lad in the blue shirt is Robert. Below: Three generations of booklovers, or a toothpaste ad? We don’t have the names for the caption; forgive us! We do know that the tall man with the goofy grin is Richard. So many members, so little time! 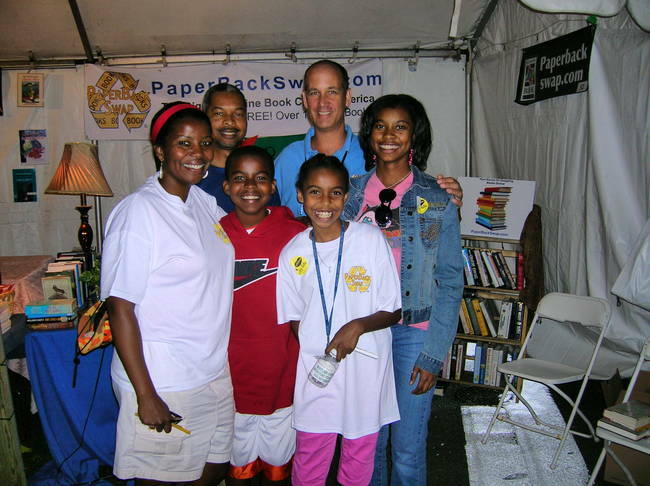 The Book Festivals have been a blast. Richard made it to Baltimore; Robert made it to Sarasota, Florida. Thanks to all our PBS Ambassadors in Baltimore, Sarasota, Charleston, Nashville, Wichita, Collingswood, Aurora, and St. Petersburg. Everyone did a great job! See the Photo Gallery for more photos. Upcoming festivals: Miami, Florida, November 4-11. Keep in mind… The fires in Southern California last month caused a lot of upheaval. We have heard from some members that their incoming mail has been delayed. A member from Southern California wrote in to us “Please let everyone know that most of us are fine but large areas needed to evacuate for safety.” So if you sent a book there, or requested a book from a member in that area, please be patient. We are glad that things seem to be contained now, and we send our best wishes to all who were affected. Members write to us with things they want to mention/And we thought we’d put them here, just to get your attention. If you’re sending an audio or a bound book in the mail/Try to wrap it up so it gets there without fail. Check out the Help Center info on wrapping your book/You may have read it already, but it’s worth a second look. Now we’re not talking about spending money on materials/You can get creative–try an inside-out box that once held cereal! Your book needs protection to keep it safe on its trip/Think of the postal machines, and what can cause a rip. If it’s going where it’s rainy, use an inner layer of plastic/The book will get there dry, and that will be fantastic. If you use the manila envelopes that have the metal clasp, these can scuff/The cover of the book, and it arrives looking rough./ Cover up the metal with just a little piece of tape/And your book will get to the requestor’s mailbox in terrific shape! If you’re Wishing for a book, the way that works best/Is to set that item to Auto-Request. We know you’re really busy, but don’t send your books out late!/Put them in the mail within a day of the deadline date!/If your shipment is delayed for an unavoidable reason–we don’t doubt it/Just send a Personal Message telling the requestor about it./People won’t re-order a “lost” book if you tell them that it’s coming./Send that PM, and keep the swapping process humming. And above all, the most important thing to remember–Don’t offer a “bad book” to another member./Don’t post books that don’t meet the guidelines for Book Condition/It’s not okay to post and then send a PM description!/If the book doesn’t measure up, you can’t put it on your shelf–instead/You can offer the book in the Book Bazaar Damaged Book thread! We have added more Bookmate I colors and patterns to the Kiosk. 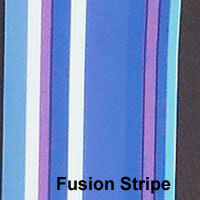 Check them out below: Aztec, Fusion Stripe,Crystal Sunset, Onyx Marble, Burgundy. We will also be getting in the larger-size LightWedges soon. These have been really popular! We are in the process of selecting more items for the PBS Store–PBS stuff makes great presents for booklovers. We search very carefully for good-quality, great-value items, so it takes time to add new things. But we have some in the pipeline, so watch that space! Sharon, you get a big thumbs-up from us! If you have any nominations for Member of the Month, submit them to us here. Your nomination will not “expire”–anyone you nominate will have a chance at getting Member of the Month if enough nominations accumulate over time. So go for it! Tell us who’s helped you in the Forums, who’s been a great swapper, who in your opinion is a credit to PBS. We are keeping a list of all the nominated members. Who knows–one of them might be YOU!